Well-made knitwear is a wardrobe staple. From unpredictable British summers to cold winter days, a good piece of men’s knitwear will see you through all seasons. Great worn under a stylish Lands’ End men’s coat for a weatherproof winter style. Pair a V-neck cashmere jumper with a button-down oxford and you’re well on your way to sartorial finesse. Our men’s jumpers are versatile, smart, and durable. A crew neck jumper is great for those more active days, where the rough and tumble of daily life requires quality, well-made clothing. Comfort is no afterthought; from full-fashioned Drifter™ cotton, we have ranges built to feel like an old friend, while retaining the tough exterior that our durable clothing is known for. Our men’s cardigan selection offers classics such as the shawl collar and the finer gauge button downs, timeless pieces that no man can be without. Their comfort and versatility will have you pairing them constantly, for the perfect, gentleman’s balance of style and comfort. 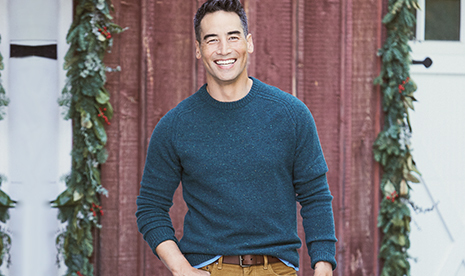 From warm autumnal evenings perfect for that button down cardigan and casual polo combo to ThermaCheck™ fleeces built for battling wintery, harsh terrain, Lands’ End creates men’s knitwear that you’ll soon always have to hand.